With the NFL Draft just around the corner, the Pittsburgh Steelers have plenty of options to choose from as they get set to pick at number 20 overall. One such option, though, stands out as a choice that can get the franchise back on track in lineback Devin Bush. With his ability combined with his background, the Steelers could get a player that could help them move on from last season and get back into Super Bowl contention. 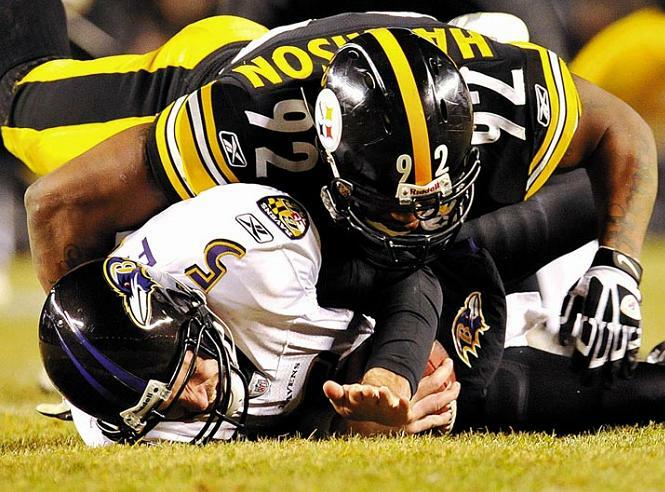 The biggest thing that the Steelers need right now is some help on defense. They have shown that they can have success on offense no matter who is active on that side of the ball, but they have struggled to get stops and limit their opponents at times in recent seasons. Last year, the Steelers were tied for 16th in the NFL in points per game allowed, as their defense wasn’t able to keep up with their offense at times throughout the year. A lot of those issues, of course, had to do with the loss of Ryan Shazier. Shazier is making strides in hopes of returning to the team in the future, which should inspire every Steeler given how hard he’s worked to this point. But in the present, his absence has had a tangible impact on the defense. And a linebacker like Devin Bush is someone who is more than capable of helping to bolster the defense while Shazier continues his progress toward a comeback. Bush was a standout at Michigan under Jim Harbaugh, who frequently boasted one of the best defenses in college football. Against Florida in the Peach Bowl to close out last season, Bush sat out to protect his body for the pros, in a game that saw the defense fall apart. That speaks to the kind of influence that Bush can have on a defense, and is why the Steelers should have their eyes on him. There is also a cultural component to bringing in a player like Devin Bush. Bush came from a Michigan team that didn’t have a lot of drama even when they failed to meet expectations in the Big Ten. And even without Bush, collegiate American football odds from bet365 have Michigan at +1200 to win the upcoming College Football Playoff. That speaks to the winning culture that Michigan has built, and that Bush has learned from. On a team like the Steelers, fresh off of the drama from Antonio Brown as he left for Oakland, Bush’s presence could act as a sort of calming influence that could benefit the team in a big way. As a whole, the Steelers have a lot to look forward to in 2019. They should have a more united locker room and have the potential to bring in some big talent this offseason. And if they can add someone with as much talent as Devin Bush to their defense, they could be one of the best teams in the league on both sides of the ball. 1 Comment on "Is Devin Bush The Best Fit For Pittsburgh In The Draft?" If The Steelers stand pat at 20 and dont try to move up they can forget about getting Bush because he will be gone and the steelers will lose on a player they need . They have the picks to move up this year due to the Mr Big chest trade with Oakland . This is the year to do it . Its now or never .